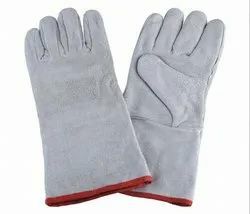 Providing you the best range of canadian gloves, canadian leather hand gloves, driving gloves, leather drivers gloves, welding gloves and welder gloves with effective & timely delivery. 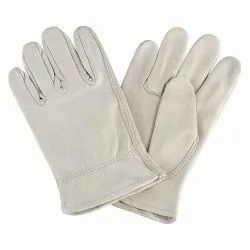 Economy split leather gloves with striped cotton back. Feature leather-wrapped index finger, fingertips, knuckle strap, and pull with striped canvas back and wing thumb. Leather palm construction in these gloves helps to provide comfort, durability, dexterity, and abrasion resistance. The seamless back and shirred elastic wrist also offer enhanced comfort. Use in construction, gardening, general assembly, maintenance, and welding. 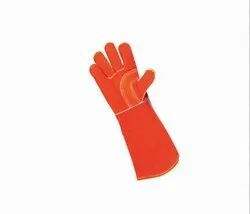 Durable top leather gloves have gunn cut design with reinforced seams for increased wear life. 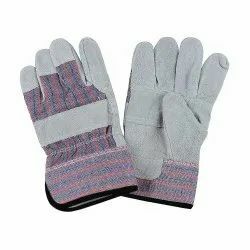 Self-hemmed gloves feature a double-shirred wrist. Keystone thumb is double sewn with double thickness at critical wear points. 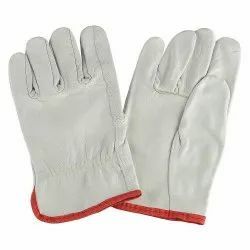 Premium Welders Glove, is premium side split leather glove with cotton liner, reinforced and supported thumb and palm and sewn with heavy duty stitching. 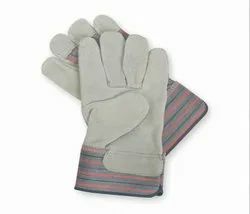 Thick, heavy-duty welding gloves with welted fingers protect your hands from burns, sparks, and high-heat injuries. 6" gauntlet cuffs provide additional wrist protection. Heavy leather for excellent abrasion resistance, breathability, and thermal protection when stick welding. Gunn cut with wing thumb and reinforced welting. 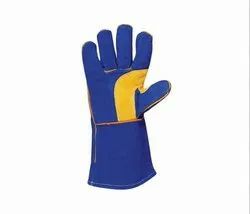 Special Application Welder Glove, are 18" and made of side split leather. Feature soft liner and reinforced and supported thumb and palm.